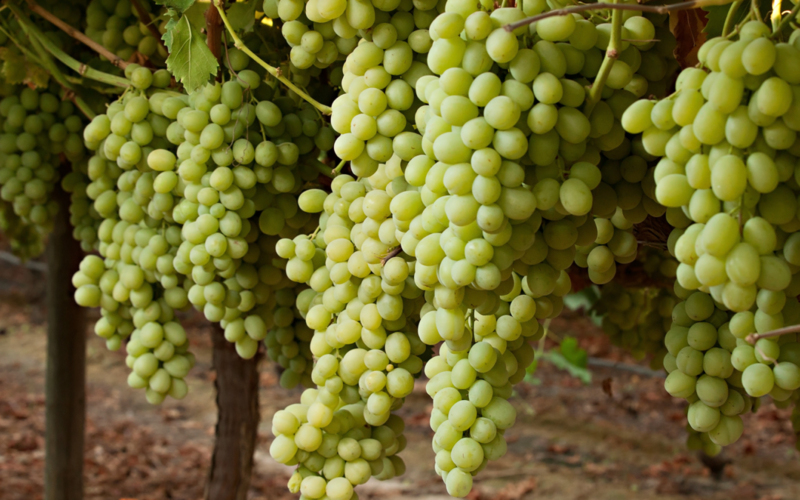 For thousands of years, grapes have been a key ingredient in the Mediterranean diet. In today’s modern kitchens, juicy, sweet Grapes from California help make Mediterranean-inspired meals more colorful and flavorful. What is the Mediterranean diet? Fresh, flavorful food! The Mediterranean diet is not a prescribed “diet” in the usual sense, but rather an approach to eating, where fruits and vegetables, whole grains, beans and legumes, nuts and seeds, and healthy fats such as olive oil are to be enjoyed at every meal. Fish and shellfish are included at least twice a week, while meats and sweets are deemed “sometimes” foods to be eaten only occasionally. Of equal importance is that the Mediterranean diet is also a way of living: along with eating traditional foods from the countries that surround its namesake sea, being physically active and enjoying meals with others are also key to the Mediterranean way. Why should I eat a Mediterranean diet? Boost your fruits and veggies. Fill half your plate at lunch and dinner with a variety of fruits and vegetables. Reel in omega-3s. Fatty fish like tuna, salmon and sardines are rich in omega-3 fatty acids, which are beneficial to heart health. Grapes pair especially well with seafood. Focus on good fats. Extra-virgin olive oil, avocados, nuts, seeds and olives are the sources of fat in a Mediterranean diet. Use these in place of – not in addition to – butter, margarine and other fats. Think Whole. Whole grains, that is. Try barley, bulgur, farro, wheat berries or whole-wheat couscous. A favorite: fruited tabbouleh featuring bulgur mixed with grapes, oranges, mint, ginger and cumin. Minimize meat. Portion sizes of meat are small – just 3 ounces or less – and meat is more of a garnish than the star. Downsize dairy. Plain or Greek-style yogurt is delicious as is, stirred into sauces or topped with fresh fruit. Enjoy small amounts of cheese and pair with luscious grapes and other sliced fruit. Season with spices and herbs. From cinnamon, cumin and za’atar to basil, mint and garlic, it’s easy to add a taste of the Mediterranean to meals. Rethink dessert. Forget the cake and ice cream – save those for special celebrations. 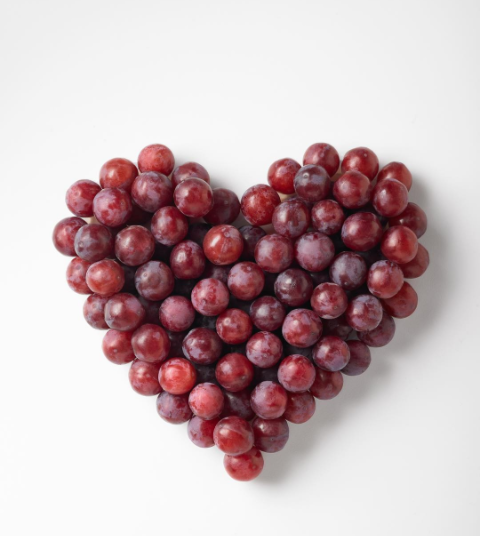 Eat fresh fruit for dessert instead, like juicy grapes. Simplify beverages. Water is the recommended thirst quencher, throughout the day and with meals. 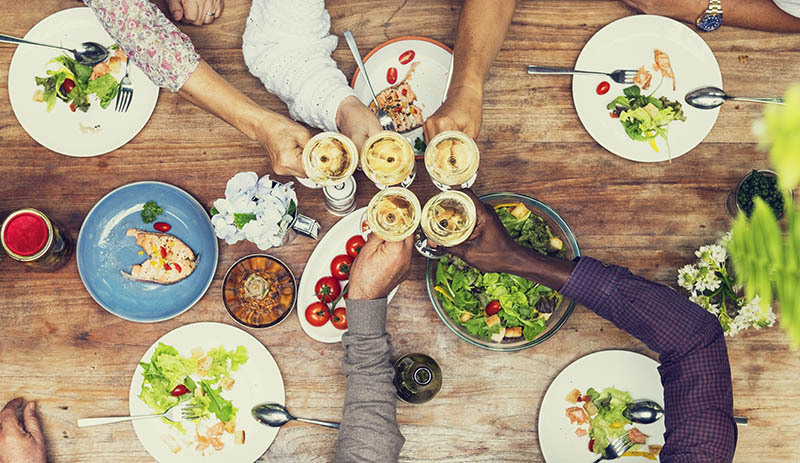 For those who enjoy wine, you may do so in moderation with meals.